Philadelphia Main Line Since 1987! You deserve to smile with confidence! At Bryn Mawr Dental Associates, our doctors are dedicated to helping you do so in a comfortable, relaxing environment. Over the past 30 years our practice has become well known for providing the highest quality dental care with cutting edge technology. Through countless hours of continuing education, Drs. Bookman, Pavel, and Kataria have developed an approach to dental care that is second to none in the region. Whether your goal is building your perfect smile, or simply maintaining good oral health, we are here to help in any way that we can. 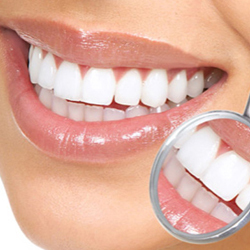 Our office has been recognized in Main Line Today's "Top Dentist" issues annually since 2008! From the moment you walk through our door, you will notice we are unique. We are all caring professionals who want the best for you. We offer flexible financing options with approved credit and we accept all major credit cards. Click here to view our Finance Options. New patients are always accepted! Early morning, late evening and Saturday appointments are available. Thank you for visiting our website. Our skilled administrative and clinical team look forward to welcoming you into our dental family. For the convenience of our patients, we now offer home sleep tests for OSA (Obstructive Sleep Apnea) that are read and interpreted by an MD who specializes in Sleep Medicine.